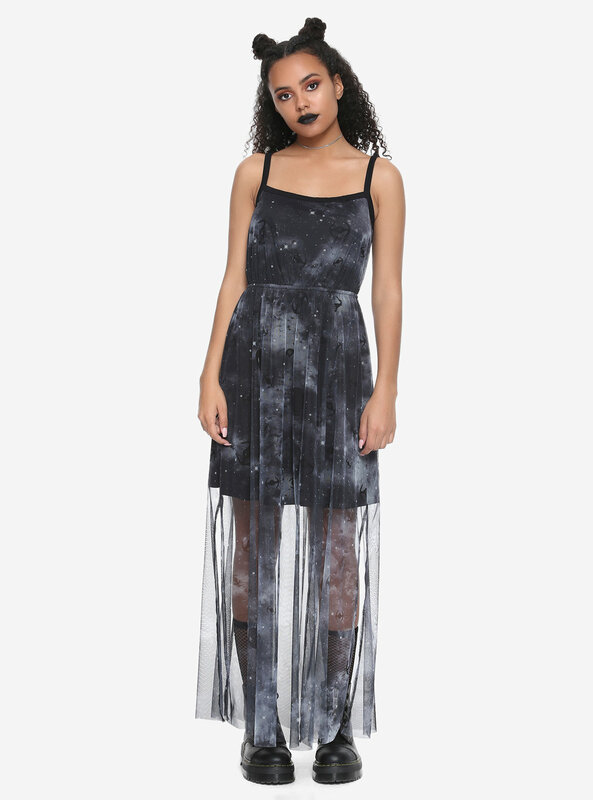 This new Star Wars Starfighter maxi dress is now available at Hot Topic. The maxi dress features a short black dress with thin shoulder straps, with a long maxi-style mesh overlay. The mesh fabric features an all-over print of a grey coloured galaxy sky with black silhouettes of TIE Fighters (the dress is also available in plus sizes). 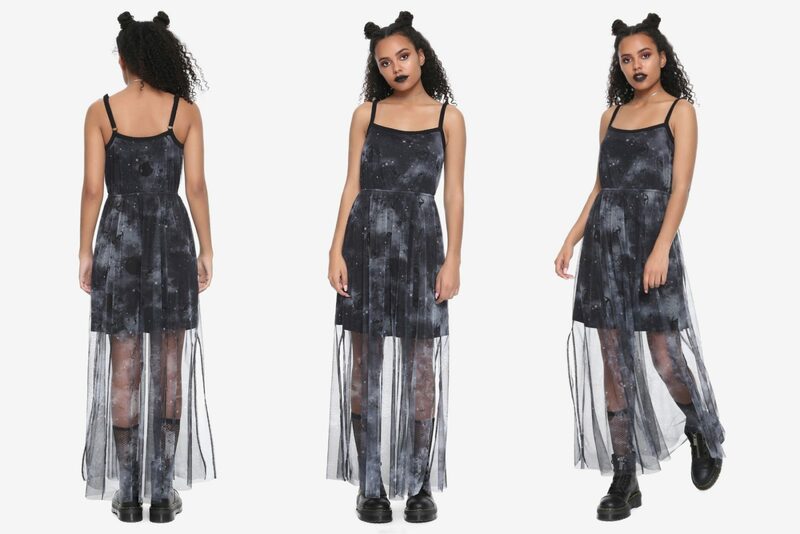 Take your love of Star Wars to the maxi! 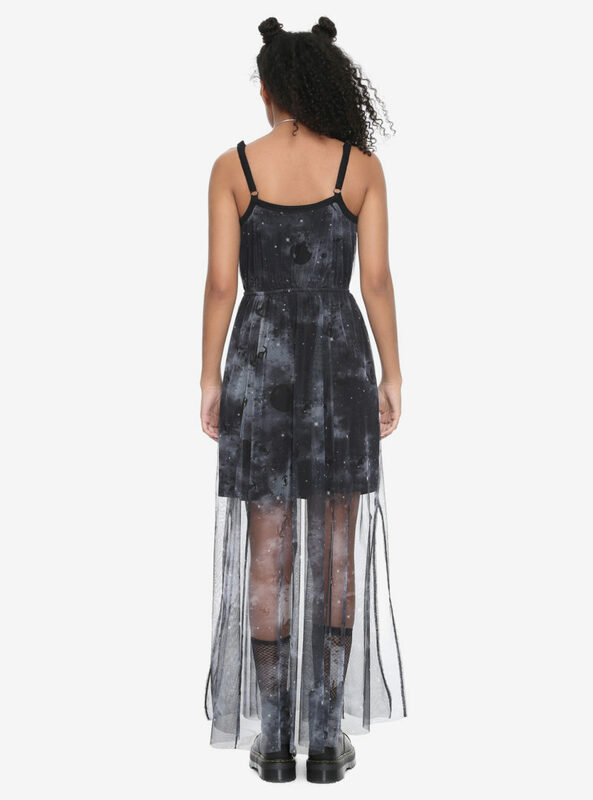 This dress featuring a starfighter galaxy printed mesh maxi over a solid black shorter slip. 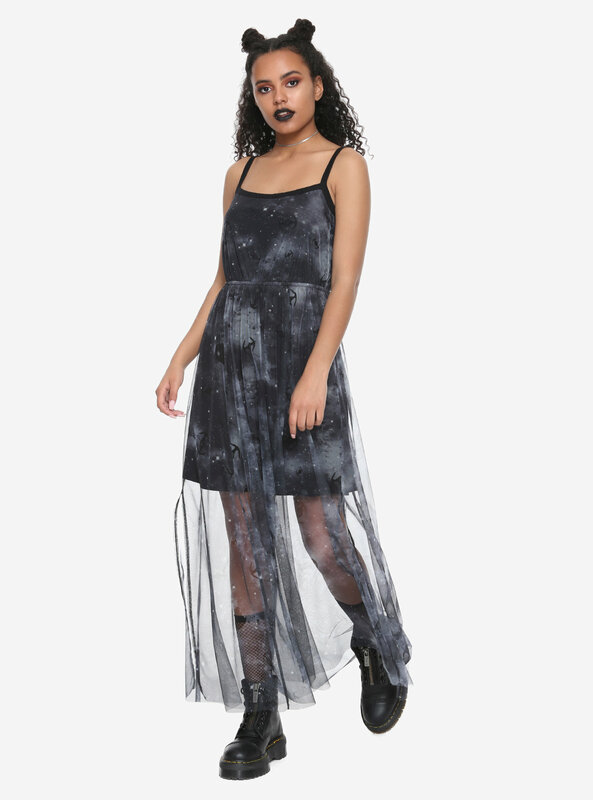 Available in sizes XS to 3X, the dress is priced at US$49.90 each – but is currently on sale for only US$39.93 each – Hot Topic can ship internationally, which is great!